Ruby the Anniversary Teddy Bear. 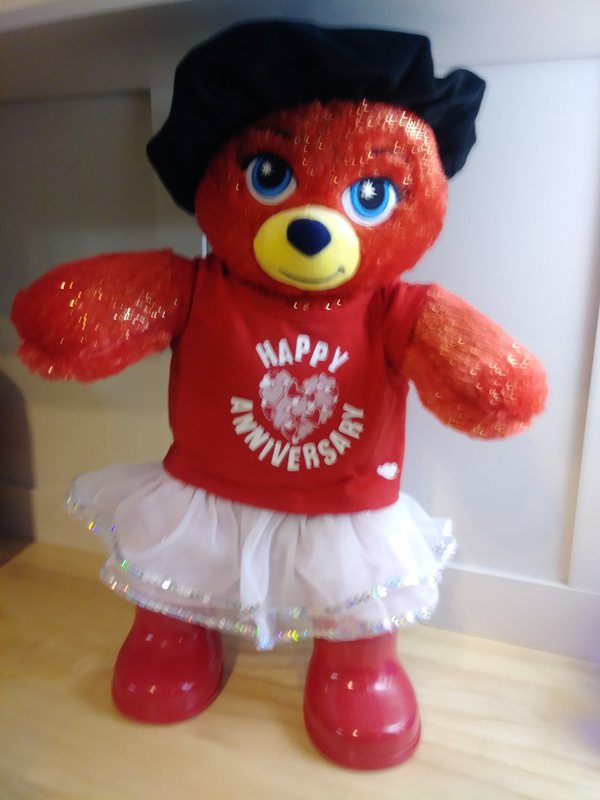 Ruby wears a stylish beret, red rain boots, a white tutu, and a red t-shirt wishing "Happy Anniversary." Ruby is from Build a Bear (retail value: $55) value. Generously donated by a Friend of OPA.